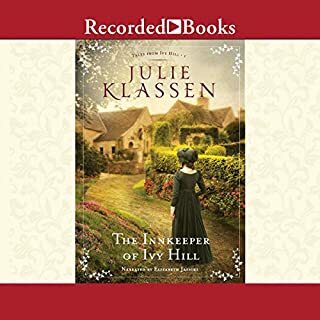 Missionary Julia Foster loves working alongside her parents, but when the family must return to England due to illness, she readily accepts the burden for her parents' financial support. 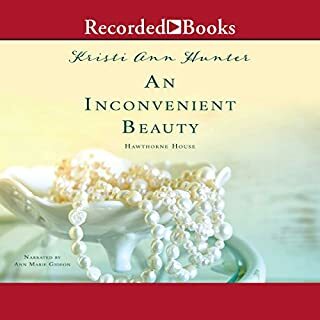 Taking on a job at Highland Hall as governess, she quickly finds that teaching her four ill-mannered charges at a grand estate is more challenging than expected. Widowed and left to care for his two young children and his deceased cousin's two teenage girls, William Ramsey is consumed with saving the estate from financial ruin. 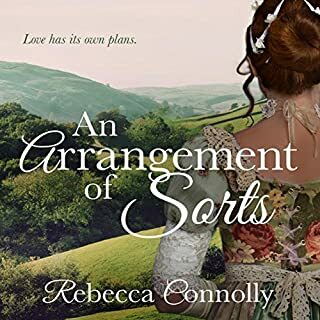 The last thing he needs is any distraction coming from the kindhearted-yet-determined governess who seems to be quietly transforming his household with her persuasive personality. Julia and William are determined to do what it takes to save their families-common ground that proves fertile for unexpected feelings. But will William choose Julia's steadfast heart and faith over the wealth and power he needs to secure Highland Hall's future? a good story with an admirable heroine, more than one villain to hate, and an ending I could live with. and I did not have to sacrifice language, morals, or any other solid values. I would read more from this author and narrator, definitely! I absolutely loved this book! Great story! Sweet Romance and Inspiring walk with the Lord! Very enjoyable! 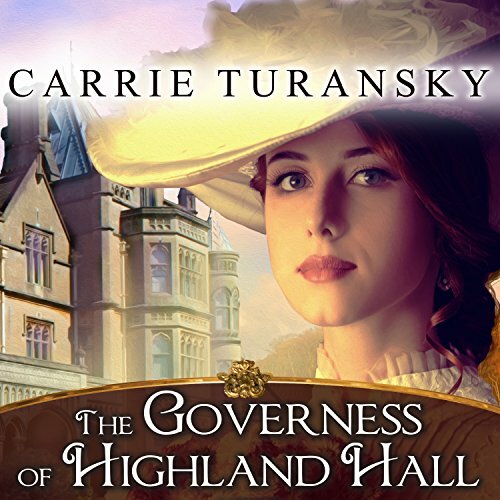 What made the experience of listening to The Governess of Highland Hall the most enjoyable? Good enjoyable story, and not ruined by too many Americanisms, as can be the problem with books of this genre by American authors. I liked the story but was not so keen on the narrator, and I don't think a person with an Indian accent was such a great choice. I appreciate that one of the characters had lived in India, but I don't think she did a great job with the accents and the pronunciation. I am the opposite of religious and every other sentence in this book had God willing mixed with scriptures and daily prayers etc. it initially annoyed me and I was close to deleting the book until I had a thought. I know it is important to always have positive thoughts and words put out into the universe and the more positive you stay and the more positive things happen. My enlightenment came from the fact that religious people pray, non religious but positive people do something similar except it’s not named speaking to God. A wonderful book with a positive message. Interesting storyline. Reminded me a lot of Downton Abby. My only complaint: Narrators interpretation of the male voices made them all sound like gruff old men instead of dapper gentlemen and she also struggled with an American accent. However, still very enjoyable and good story. High on the “God’s Will” but low on the romance. Also, very little description of what the characters looked like. Weird. I don’t have a problem with books with a faith based story line but this book was to much. Every other word was lord, prayer or faith. Also the story was very predictable with no unique twists. I found myself skipping just to get through it. 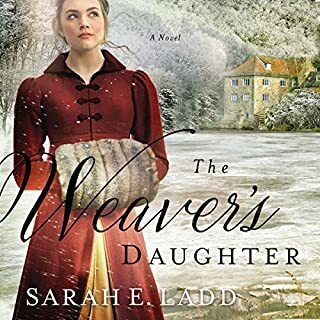 Lovely historical romance set in England during the early 1900's. Julia Foster and her parents have returned to England after living in India for 12 years doing mission work - her father is a doctor. Julia, must find work to help support her family until her father is well enough to return to India. She is hired at Highland Hall to be the governess for the widower Sir William Ramsey's young children Andrew, Millie and his cousins Katherine and Penelope. Julia's positive spirit and influence help the family to heal and a romance grows between Julia and William. 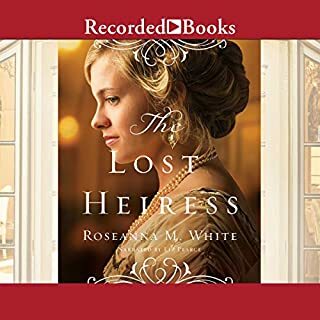 A former missionary is hired by a wealthy, but stern man of the aristocracy to care for his unruly children several years after the death of his wife. Only the missionary is not a Catholic nun and the country is not Austria. No, they’re in England during the Edwardian period. While the plot lines of The Sound of Music and Downton Abbey don’t completely coincide with The Governess of Highland Hall*, the result is still quite delightful. 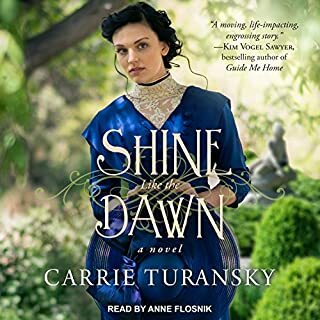 Suffice it to say, I thoroughly enjoyed this first book of Carrie Turansky’s Edwardian Brides series and look forward with anticipation to the next one in the series. The narration by Veida Dehmlow was lovely and very finely done in almost every respect. My only suggestion would be to create a less gruff voice for several of the characters, including the main character in the story. I know this is possible since several of the other male voices were much smoother and easier on the ear. In any case, I also look forward to listening to future books she narrates. *Please note: By making connections among these stories, I in no way am implying that the author is dabbling in plagiarism. There are many similarities in literature and other works of art, as most of the creators are striving to, in one way or another, capture aspects of the human condition. My comment, then, is meant solely to be descriptive—as well as to compliment the author’s fine story.